Meghan from Stafford, Jennifer from EWA beach & 189 others bought this item recently. The Uwell Crown 3 Tank is newest version of Uwell’s famous Crown Tank. The Crown 3 features a 5ml juice capacity, top-filling system, and an innovative plug sub ohm coil system. 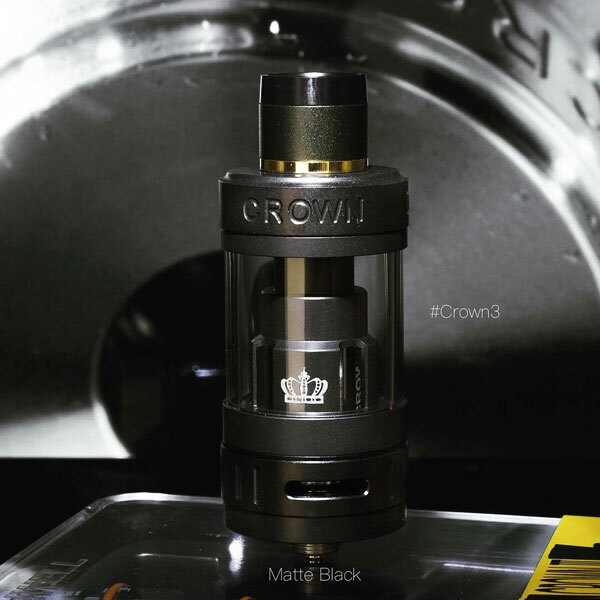 Each Crown 3 Box has a Crown 3 Key included in it to improve the coil changing and tank cleaning process. 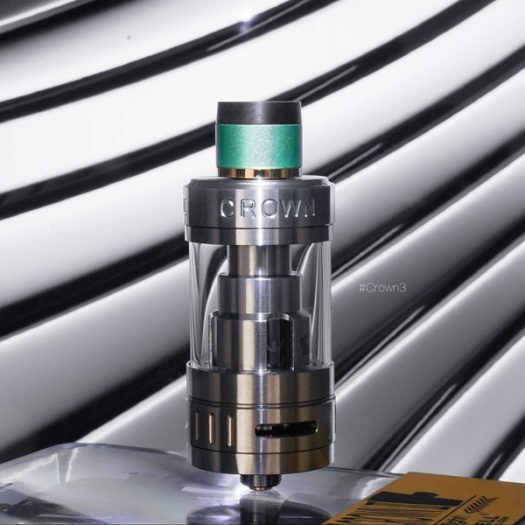 Airflow for the Crown 3 is arranged in triple air slots around the base and provides ample cooling. The newest generation of Crown Atomizers/Sub Ohm Tanks, the Uwell Crown 3 is the class-leading flagship sub ohm tank. 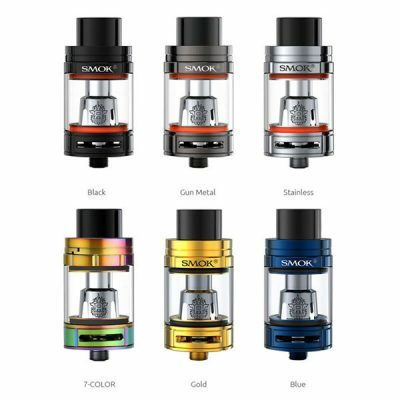 Each Crown 3 includes 1 Crown 3 Sub Ohm Tank, 1 extra Quartz Glass replacement, 2 coils, extra o-rings, a users manual, a Crown 3 Key, & a Drip Tip cover. * The Crown 3 Drip Tips are set and cannot be chosen for the Iridescent, Sapphire Blue, Matte Black, and Black. 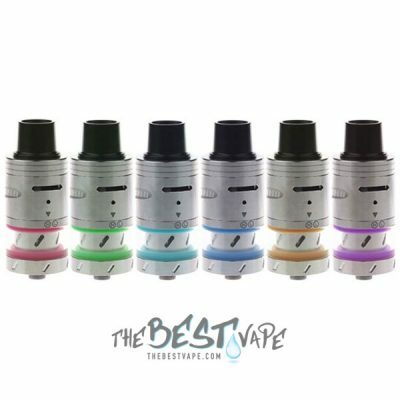 The Stainless Steel color’s drip tip will be random and any color can be obtained. ** Please note, nothing can be done if you request in the order notes that you want a specific color drip tip. *** All colors of the Crown 3 Drip Tips will be sold separately in the future. We have been using the Crown 3 Sub Ohm Tank for a few weeks now. They sent us some samples before the actual release. I have to say, the Crown 3 truly is a masterpiece. Yeah, people always say that when a new Tank comes out. 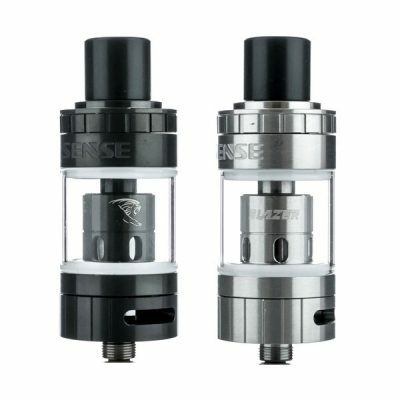 But, comparing this Tank to the Crown Original & Crown 2, I would definitely call this Tank a success. Most importantly, there are no more coil issues. The coils are completely redesigned from the ground up. They don’t screw into the base like all other coils do. Now you just push it into the chimney, not the base. They call it the push-pull system. It’s very convenient, and easy to use. Besides the new coils, they also made some structural changes to reduce e juice condensation and to prevent leaking. One of the best things about this new Tank, the 5 color choices. The Matte Black, Sapphire Blue, & Iridescent are by far the mos popular, at least on this website. 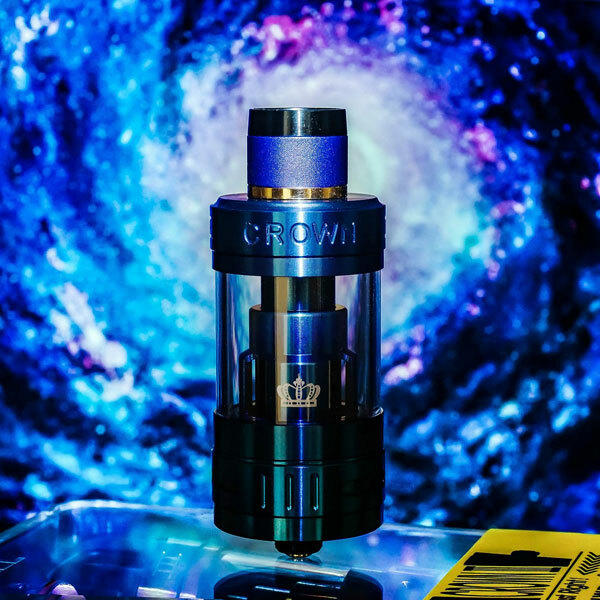 We really do love the Crown 3 Tank and you will too. First time ordering from here and very impressed. Still finding my sweet spot for tank, but so far am liking as much as the v1. Ordered late on Friday, got it on Monday. Really diggin this tank so far! Brings out the flavor, best Tank so far. Quick shipping! Great tank! It came damaged and missing coils, but that has to do with uwell. Tank came in the mail quickly. I was impressed on how much they wrapped it in bubble wrap to protect it. 3 layers. 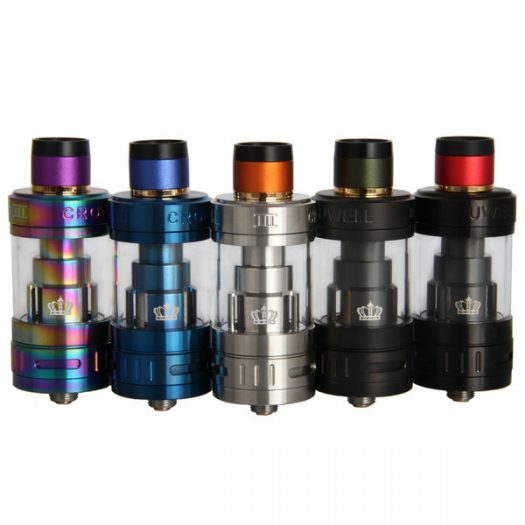 The tank is great, I love it as much as I do my crown 1 and crown 2. I ended up buying a 2nd crown 3. Love Uwell products. Looks and vapes great. Quick shipping too. Best tank I’ve ever used. 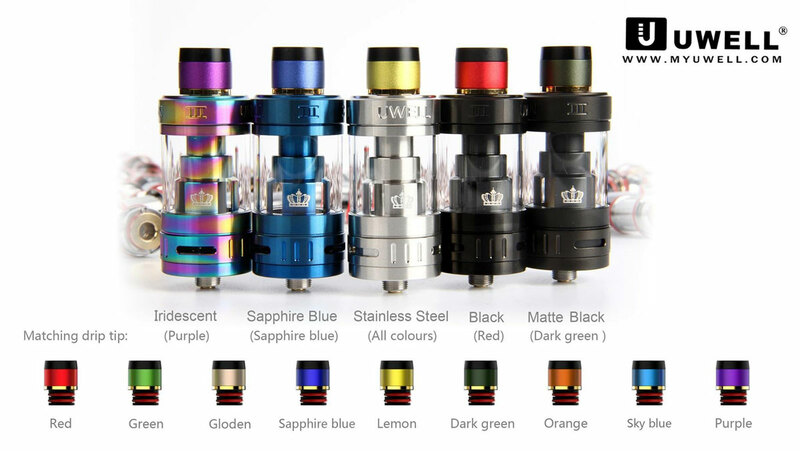 Uwell really nailed it across the board with this tank. Amazing tank – flavor and clouds meet expectations, and so far I’ve had no problems with the coils! I had high hopes this tank would be “the most innovative newest coolest tank” as I told everyone. I was dissspointed. Been a Uwell fan from gen 1. Enjoying the gen3 just as much. Changing a coil not covered in juice is is a real bonus. This is the best tank I have used. The flavor is great and no leaks. Best of all the coils last unlike the Crown 2. The product shipped fast. I’m a huge fan of this tank. Currently I have 10 tanks. 3 smok 4 aspires and 3 crowns. My friend got me one of these and first thing I noticed was the flavor. This tank just makes the juice taste great. The coils seem to have a very specific heat range but it seems to be right on the money. I also like the ease of changing coils! A big bonus in my book. Most of my other tanks I run around 40 to 65 degrees so I notice batteries wear down a little faster on the crown 3 but again the great taste is well worth it. I think you will like using higher vg juices with this tank, running The higher temps and all. 75 percent vg or higher seems to be best in my opinion. All in all I feel it’s a great buy, which is why I purchased 2 more. The Best Vape was great. Good pricing and lightning fast shipping makes this purchase feel like even a better deal! Enjoy! So far, the best sub-ohm tank I’ve ever had. This tank is by far my favorite. I love the flavor it gives the clouds as well. Awesome product. I got the sapphire blue and not only even after shipping was The Best Vape cheaper than everywhere else but they shipped it out fast. No doubt I will be doing business with them in the future. Great job TBV keep it up. Great tank. Easy to use, clouds well. Kewl….